Gula Perlis annual chess event is coming. 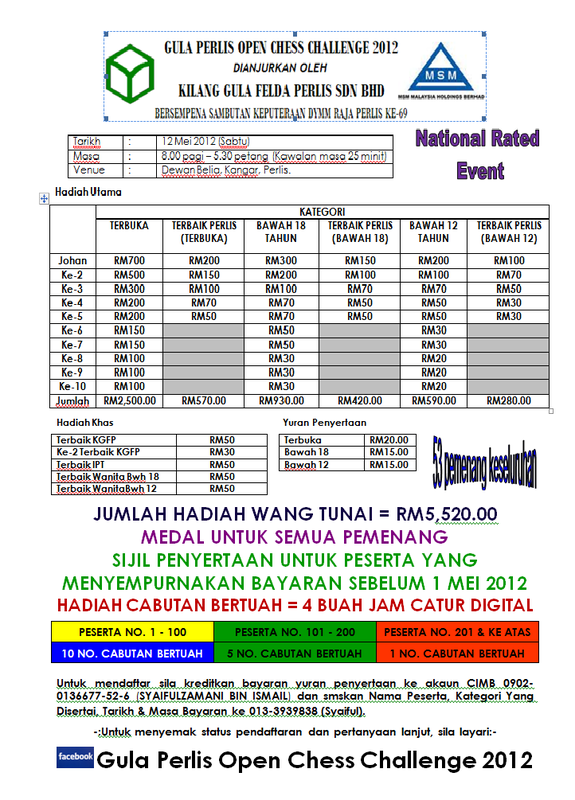 This year, the tournament upgrade it's level to National rated event. If u not the top ten contender, still have other supporting prize. I hope this year, I will get the lucky prize and some additional changes in my national rating. Pakat-pakat mai main ...Teringat kenangan bermain catur peringkat MSSPs dulu-dulu.